With banks, building societies and post offices across the UK closing down at a fast rate, property developers, architects, construction companies, business owners and others buying commercial premises are faced with a new challenge – inheriting a vault or strong room. 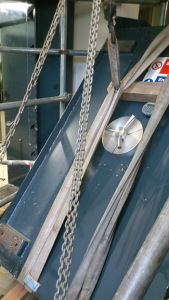 Purchasing a building that has a disused vault or strong room door may seem like a benefit at first, after all, it’s a free security addition to the building. However, these robust specialist security products are generally above and beyond what a regular business needs and can be costly to remove. Find out more about why banks leave their security products behind, and what options are available to you if you’ve purchased a commercial building with a vault, large safe or strong room door present. This entry was posted in Removals, Specialist Security Products on April 1, 2019 by Phil Hill. Banks and building societies require the highest level of security attainable, with the movement and storage of money being the core function of the organisation. With the threat of robbery and terrorism being higher in comparison to the standard high street stores, it is crucial that banks invest their money into the highest quality of security available. However, due to the nature of the robust security options chosen, it’s not uncommon for banks to leave behind bulky safes, strong rooms and vaults when selling a building, making it the next owner’s responsibility upon purchase of the premises. For some buyers, the readily installed security systems are useful but for others, they are a nuisance. This entry was posted in Casestudies on March 7, 2019 by Phil Hill. Short-term rentals are becoming increasingly popular, and there are a lot of homeowners out there that are finding that they can pull in a tidy income by renting out their homes to guests who prefer a personal approach in comparison to the traditional hotels out there. Airbnb is a fantastic way to put your spare space to good use, and it’s convenient and easy to use the site for those who have no idea where to start. 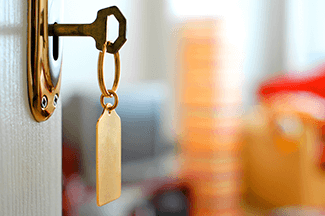 It’s not always plain sailing, while it may seem really easy: list your property, find tenants over the summer and bring in some cash – it’s not always that simple. All you have to do is search for ‘bad Airbnb guest reviews’ and bam, you’re in the rabbit hole and you end up believing that renting out your house is a bad idea. From property damage to social media party frenzies, there are horror stories out there. The question is whether you are willing to see past the 5% of stories that are bad in comparison to the 95% of stories about Airbnb guests that are positive. Airbnb does a fantastic job of screening tenants and there are options for cover for some types of property up to $1 million, but they can’t cover everything. There are some things that are up to you to secure yourself, such as your personal information or important documents that you left behind in the rental. There are ways as an Airbnb host that you can protect yourself against the threats out there, and you absolutely should look into these if you want your home to stay as secure as possible. Below, you will find some of the best tips that we’ve got to protect yourself and your valuables when renting out your property on Airbnb. This entry was posted in Tips and Guides on December 12, 2018 by Phil Hill. 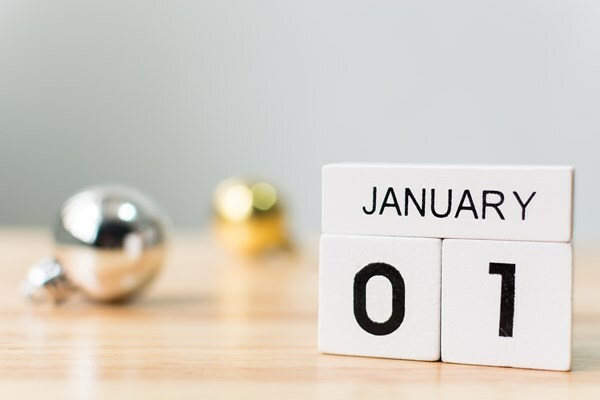 With January well under way, those who work in or manage office buildings will likely have a lot on their plates, whether it’s budgeting, marketing or reviewing staff for the new year – but how much time do you spend reviewing your office security? We’ve always been committed to providing robust, industry-leading products and services for offices, regardless of size or budget. In this blog post, we will cover the main areas of office security to review in 2017 to reduce the risk of crime at your office. This entry was posted in Office Security, Tips and Guides on December 12, 2018 by Phil Hill. With longer nights and shorter days, winter becomes a prime time for burglars to operate, with an average 25% spike in home burglaries over autumn and winter. 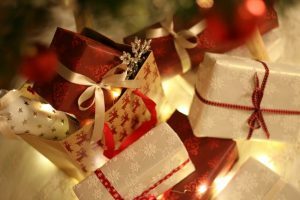 What’s more, the Christmas period sees more high-value gifts be put at risk when left unsecured, making easy pickings for potential burglars. This entry was posted in Tips and Guides on December 3, 2018 by Phil Hill. Christmas brings excitement for many, both children and adults alike. The delights of festive foods, gift giving, and spending time with the family are the pinnacles of a great Christmas. But, unfortunately, Christmas is also a prosperous and joyous occasion for thieves across the globe. This entry was posted in Locks & Locking System Product Reviews, Tips and Guides on November 19, 2018 by Phil Hill. Emergency Barricade – What, When and Why? It’s scary to think that in this day and age we need such extreme security strategies in place to block out potential intruders. Unfortunately, the statistics and news we hear so regularly show us that these emergency products and plans are still very much needed. High-risk environments such as warehouses, schools and airports to name a few, should have sufficient, effective and detailed plans on what to do should such an emergency situation unfold. This entry was posted in Locking Systems, Office Security, Specialist Security Products on September 27, 2018 by Phil Hill. Earlier in the month, we spotted this article by the BBC on rural crime and how it has rocketed over the past few years. Many farmers have turned to ‘medieval’ type security measures such as forming earth walls and ditches to hinder casual crime. Does this make you concerned about your own agricultural security? Whether you prefer to use older methods or modern security, it’s important to make sure you think about all angles and possibilities. The best way decide what security is best for you is to put yourself in the mind of a criminal. If you were going to carry out a robbery on your own farm, what are your entrance routes, blind spots and how easy would it be? 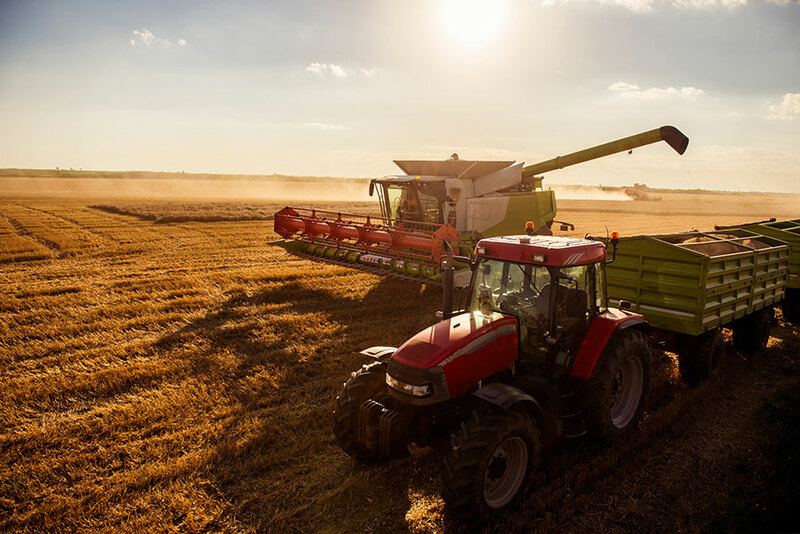 By determining the risks, you may find that you can put some really simple measures in place to help keep yourself, farm, stock and assets safe. This entry was posted in Security Industry News, Tips and Guides on August 28, 2018 by Phil Hill. With mobile phones and smart technology being such a necessity today, it’s not surprising that many industries are moving to an audience who rely on their tablets and phones for day to day activities. A large majority of the public these days use their phones as their lifelines. With the introduction of products like Apple / Samsung pay, mobile banking and businesses installing email inboxes and invoicing systems onto their mobile phones, the impression that smartphones are insecure is disappearing rapidly. The security industry has also jumped on board, with a number of products now available to make securing your home more convenient. 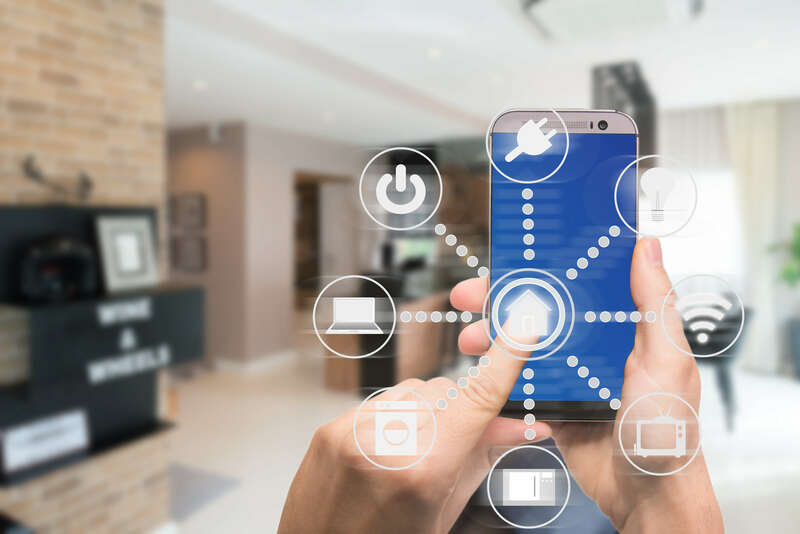 Despite this, questions have been raised about the security of these products, whereby losing your smartphone essentially means losing your house keys. What do you think – is this the way forward or a big no? This entry was posted in Locking Systems on July 24, 2018 by Phil Hill. Why Use An MLA Approved Locksmith? When searching for a locksmith, you may have noticed the term MLA (Master Locksmiths Association) on some locksmith’s websites, flyers or other marketing material. The Master Locksmiths Association are a non-profit organisation and are the largest, most established and longest running Locksmith Association in the UK. Thornhill Security has been a member of the MLA since 1998, with our MD and Founder, Phil Hill being an approved member since 1973. So, what is the MLA set up to do? 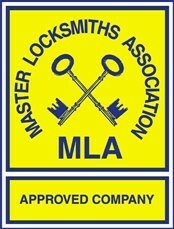 And why should you use an MLA approved locksmith? Find out in our latest blog post. This entry was posted in Security Industry News, Tips and Guides on July 4, 2018 by Phil Hill.